What’s a vanity metric? In online marketing, data is important. But it’s important to look at the right metrics – everything else is a vanity metric. 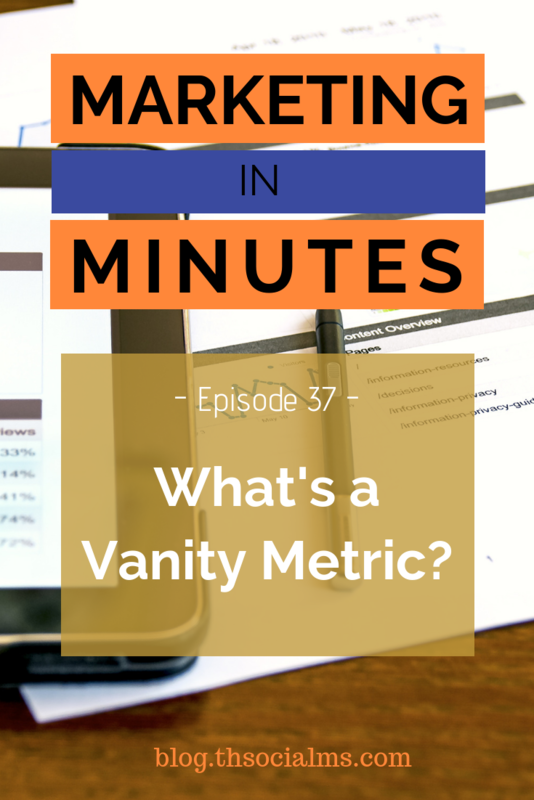 How vanity metrics become important metrics in later stages of your business. For more information about getting traffic and measuring your success, check out The Social Traffic Code. A big thing in online marketing is looking at metrics. How big is your conversion rate? But what’s even more important is to look at the right metrics. And the right metrics are the metrics that are important for you at a specific point in time. Everything else is a vanity metric. I’m Jonathan Gebauer and today, let’s talk about how to avoid looking at what is called vanity metrics. When you are starting an online business of any kind, everybody will tell you that data is everything. But data is also overwhelming. There are so many things to look at, and for a beginner, it’s hard to identify valuable insights. The problem is that it’s very easy to look at the wrong data. Especially when you have a tool like Google Analytics that basically collects everything and then allows you to look at everything – without telling you what you should look at. What you have to learn is how to tell the difference between a metric and a vanity metric. When we started our blog, The Social Ms, we started at zero. And for a brand new blog, the most important metric you can measure is traffic. Because there is no other metric you can measure. There is no point in trying to measure conversion rates if nobody sees your website. There is no point in looking at sales because if nobody knows you exist. So, when you are starting out, traffic is the metric you have to look at and everything else is a vanity metric. Or in other words: A metric that doesn’t give you valuable insights about how your business performs. The big problem with vanity metrics is that what is a vanity metric changes quickly. Sure, when you are starting out, traffic is important – and don’t get me wrong: it will stay important for a very long time. But if you do things right, and you start getting traffic, suddenly other metrics will become important as well. Let’s say you’ve been running your blog for a couple of weeks. And now you are getting a bit of traffic. For instance 100 unique visitors per day. Sure, you still want a lot more traffic, but a metric that suddenly becomes very important is “Time on Site”. You can look at that metric in Google Analytics – just like your overall traffic. Why is this important? Because it gives you insights on how targeted your traffic really is. If people are only staying on your site for 10 seconds, they are probably not really interested in your content. Or your site is very hard to use, or maybe it’s completely broken. And if that is the case, your traffic isn’t valuable. So if that is the case, suddenly you have to improve that metric – either by getting better-targeted traffic, by producing different content, or by improving your website. What is a vanity metric, and what isn’t, will change all the time. The difference between a vanity metric and a valuable metric is defined by the question you want to answer and by math. So before I end this episode, I want to give you an example from a later stage blog – and what you are going to see is that even the amount of traffic you have can become a vanity metric. Let’s say you are looking at a blogging business that has 100.000 visitors per month. About 3 percent of these convert to an email list, and through nurturing, 10 percent of the people on the email list finally buy something. That’s a sales funnel – and if that sounds complicated, try to draw all the stages of it on a piece of paper and it will become clear. Again, you have 100.000 visitors, you convert 3 percent to an email list, and 10 percent of everyone on that list finally buys a product. 3 percent of those 100.000 visitors is 3000 signups per month, and 10 percent of 3000 is 300, so this blog would be generating 300 sales per month. What’s the easiest way to improve your revenues? Getting more traffic in this situation is still good, but it is probably a lot easier to improve your conversion rates. If you increase the conversion rate from website visitor to email list by one percent to 4 percent, your total number of sales increases by one third. That’s 400 sales instead of 300. If you increase the conversion rate from lead to sale by 1 percent to 11 percent you increase your sales by 10 percent. That’s 330 sales instead of 300. If you increase your traffic by one percent, you increase your sales by 1 percent – that’s only 3 sales more. So if your question is: How do I make more sales, and you already have a lot of traffic, traffic can become a vanity metric. What makes a vanity metric and what is important data for your blog can change very rapidly. The important thing to understand is that you collect all that data to answer questions. So, to identify what to look at, you need to first find the question that is important for you right now, and then try to find the data that gives you an answer to the question. There is no need to look at every piece of data you have at any moment in time. This was another episode of Marketing in Minutes – for more information, check out the show notes at blog.thesocialms.com/MiM-37. That’s blog.thesociams.com/MiM-37. I really hope you like this podcast! If you do – let me know. Leave a comment on the show notes, or even send me an email. I really want to hear your feedback! I’ve got one final thing to ask you – this podcast is starting to see some traction, but I want and I need more. And for that, I need your help – if you are listening to this podcast through Apple podcasts and you enjoy what you are getting, please leave a review over there. Apple Podcasts is the most important platform for podcasters like me and reviews really help in gaining traction! That’s all I have for you today – I’m Jonathan Gebauer and you’ve been listening to Marketing in Minutes.